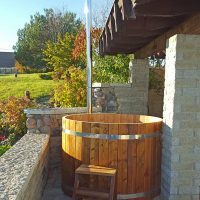 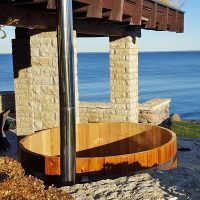 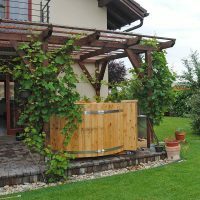 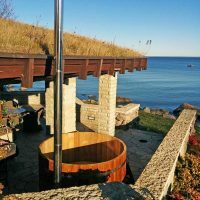 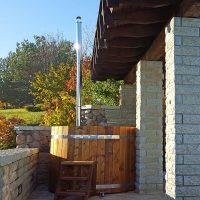 Wooden hot tub does not only influence human organism positively but it also makes the design of the facility or garden where it is placed look more cosy and stylish. 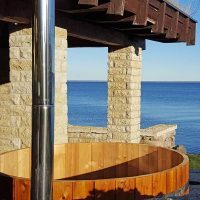 None of the other building materials has the same natural texture, pleasant smell, and warm colour. 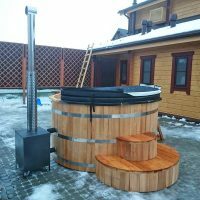 Taking hot or cold baths in water that was previously drawn in a wooden barrel helps you to get rid of many skin disorders, improve blood circulation, and strengthen immune system. 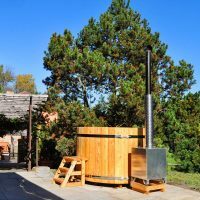 In addition, any kind of wood saturates air with numerous healthy substances that cleanse the air from the various harmful bacteria, and fill it with phytoncides. 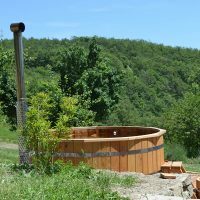 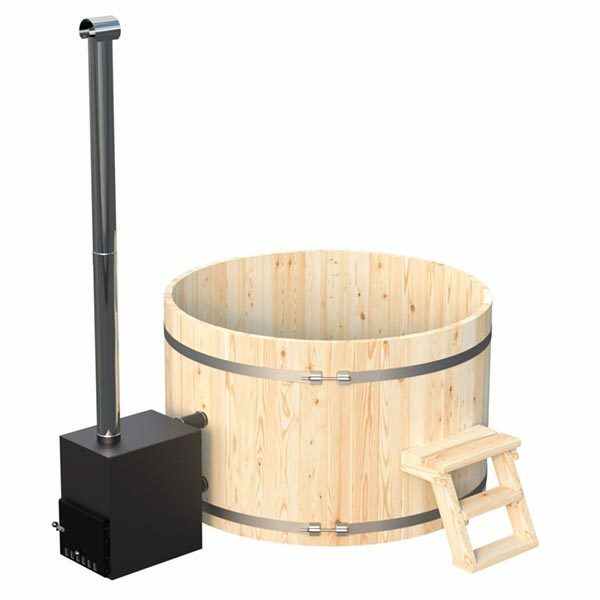 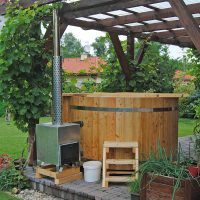 Bathing in a wooden hot tub with an external stove will bring a lot of positive emotions and provide both physical and psychological health. 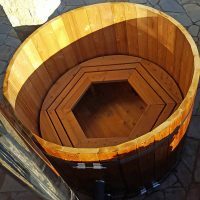 Placing a wooden hot tub somewhere in your garden will give an opportunity to spend frosty winter evening in an extremely cosy and pleasant atmosphere. 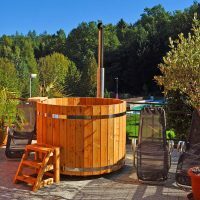 The sweetest pleasure is to dip into the hot, relaxing tub in a frosty weather, when all around is snow-white and vapour rises from the water. 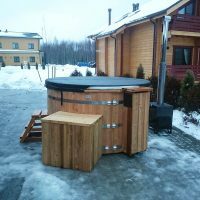 After a long day of working or playing on the slopes, both adults and children will enjoy bathing in a hot tub. 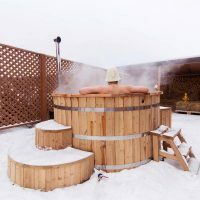 The bravest ones can also jump out of the tub and bathe in the snow for a while. 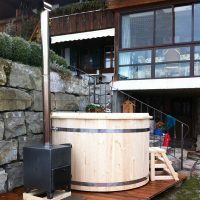 Such bathing will bring high spirits and boost of energy for the following several days.